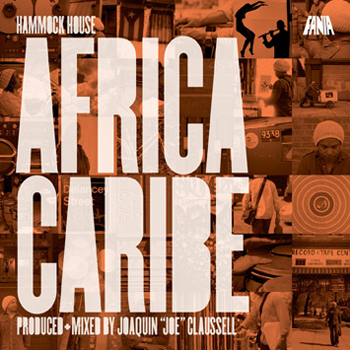 Produced and mixed by the legendary Joaquin “Joe” Claussell, Hammock House ‘Africa Caribe’ is more than just remixes of Fania’s back catalog. It’s a stunning two-disc album with each track approached and assembled differently, each on its own terms. The second disc is a live continuous mix by Claussell, but not like your average DJ mixing one track into another Joe’s states his goal for the mix-CD was to create an epic journey that begins in the Motherland (Africa) and moves to New York. “I wanted to do a futuristic mix, where stories are being created with soundscapes and tapestries, and segues work as introductions to each story. I wanted to create bridges through different rhythms…..I mixed it live with four CD players, effects, and reel-to-reel… I wanted to mix it live so you get more of a human feel from it, to stay true to the texture of this music.” says Joe.